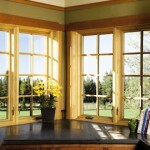 At Evergreen, we sell the wood windows (mostly double hung, casement, bay and bow) from Pella. We sell the Architect series, the Designer series, and the ProLine series. 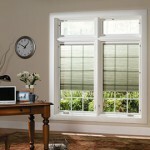 The Designer series allows for internal blinds or shades that can be changed. The casement windows use fold away crank handles that stay out of the way of blinds, or shades, or drapes. Interior wood trim – exterior aluminum clad in a wide range of colors offering lots of style and low maintenance. 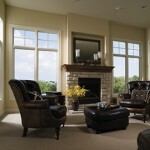 WHY CHOOSE PELLA’S WOOD WINDOWS? Pella’s wood windows offer unparalleled beauty, warmth and design flexibility — with exceptional energy efficiency. Low maintenance features include durable aluminum-clad protective exterior finish plus Pella’s exclusive EnduraGuard® wood protection. Explore more about Pella wood window styles here or click here for a free estimate.